One way to satisfy your cravings for nicotine is through the use of the electronic cigarettes, or e-cig. This device is operated by a rechargeable battery. It works by converting liquid nicotine into vapour. As you inhale the vapour, you will notice that there is actually no smoke being released in the device, making it a smokeless cigarette. 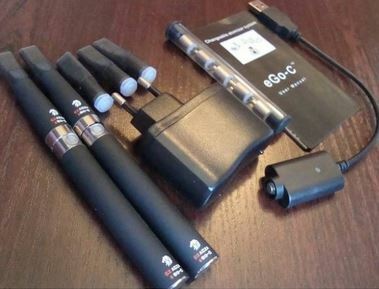 Although there are certain things that you will find helpful and beneficial as to the use of the e-cigs, there are also some additional things that you should consider in using your device. If you find using this device to be better than traditional smoking, it is still your responsibility to not influence the younger generation to use it. It will be better if you explain this device, especially to young people close to you. Here is a list of the dos and don’ts that you should always bear in mind. Respect other people. Despite the popularity of the electronic cigarette, there are still many of us who do not agree about smoking, which is why you have to learn to respect them. If you use your e-cig, even in one corner of an area, ask the people in that area if it is alright with them. Explain your side politely. Not all people are aware of what an e-cig is. When you explain, make sure you do it politely. Ask permission to use your e cig liquid nicotine. You have the right to do what you want, but when you are indoors, especially in a restaurant, bar, café, or other private vicinities, be polite. Ask permission from the owner or manager. There are some who totally ban smoking, even electronic smoking, on their properties. Be aware of the rules of the state or city you are in, especially if you prefer to use your e-cig outdoors. Some states are strict when it comes to smoking, which might cause you problems. Don’t use your e-cig beside or near children. Most parents are careful and protective of their kids, and if they see you vaping, they might think you are putting their kids in danger and at risk of second-hand smoke. Don’t exhale large and cloudy vapour. Cloud chasing is a big no for all e-cig smokers, not just because it looks very obnoxious, but also because it will create a bad impression to people around you, especially if they are not aware that you are using e-cig. Don’t exhale vapour in front of people. Even if they are your friends, or they know you are using an e-cig, it is very unethical and unpleasant to see. Don’t use your e-cig inside any public transportation vehicle. Most states nowadays prohibit public smoking, whether you are using traditional tobacco or an e-cig. Don’t provoke other people to use e-cigs as well. Many teenagers are curious about them, especially now that there are claims that the e-cig is better than traditional smoking, but it can still harm adolescents.